In the team categories, both a Domestic (British) and Overseas Team of the Decade was named, and from those two teams an Overall Team of the Decade was picked as: Peter Schmeichel, Gary Neville, Tony Adams, Marcel Desailly, Denis Irwin, David Beckham, Patrick Vieira, Paul Scholes, Ryan Giggs, Alan Shearer and Eric Cantona. The rest of the Domestic team were David Seaman, Steve Bruce, Stuart Pearce, Paul Ince and Michael Owen, while the rest of the Overseas team composed of Dan Petrescu, Jaap Stam, Fredrik Ljungberg, Roy Keane, Robert Pirès and Thierry Henry. After renewed interest from Manchester United, who initially tried to sign him before Blackburn, a 25-year-old Shearer invoked a release clause in his Blackburn contract and moved to Newcastle United in July 1996 for a world football transfer record of £15m. This nearly doubled the previous British record of £8.5m for Stan Collymore a year earlier. 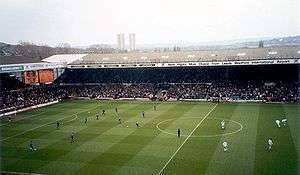 Blackburn had refused Manchester United's offer, and although other interest had come from Italian club Juventus and Bobby Robson's Spanish club Barcelona, Shearer stated it was the lure of playing for his home town boyhood club and working with manager Kevin Keegan that persuaded him to choose Newcastle, describing it as a "dream come true". Ironically, Shearer had had a two-day trial with Newcastle at St James' Park in 1982, but they had rejected him without having struck a ball, having chosen to play him as a goalie. Shearer later joked in 2003 that the reason he did not join Manchester United was that in his talks with Alex Ferguson, he could not guarantee that Eric Cantona the Overseas Player of the Decade could be persuaded to let Shearer take penalty kicks. 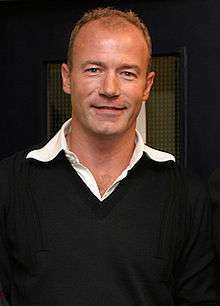 Shearer gained a second PFA Players' Player of the Year Award in April 1997, becoming just the second player to have received the PFA award twice, after Mark Hughes. The save came on 24 minutes, when a cross from deep on the left by Stuart Pearce was met with a "seemingly unstoppable" powerful goal bound header from John Barnes. Schmeichel dived to make a "stunning reflex save" from close range to palm the ball around his goal post. Manchester United eventually won what was a bad-tempered game 1–0, watched by the British Prime Minister Tony Blair and Irish Taoiseach Bertie Ahern. After the only goal was scored on 66 minutes by Eric Cantona, Schmeichel made another "reflex save of the highest order" with ten minutes remaining, this time from a diving header by Pearce. Liverpool supporter Noble took the photograph from the other end of the ground, capturing Owen and two team-mates, and most of fans in the famous Liverpool Kop End stand, holding their hands to their heads in anguish just after the crucial miss. The game ended in a 2–3 United victory, with no further goals. The exclusion of Roy Keane from the Overall Team of the Decade (while being included in the Overseas team) was criticised by some media outlets, and was a "surprise" to his former team-mate and Overseas Player of the Decade Eric Cantona. 1 2 3 4 5 6 7 8 9 10 11 "Ten years and counting". ESPN Soccernet. 15 April 2003. Archived from the original on 1 October 2009. Retrieved 2009-10-01. 1 2 3 4 5 6 7 8 9 "10 seasons awards". BBC Sport. 26 December 2002. Archived from the original on 1 October 2009. Retrieved 2009-10-01. 1 2 3 4 5 "10 Seasons Awards". Premier League. n.d. Archived from the original on 20 December 2002. Retrieved 2009-10-02. 1 2 3 4 5 6 7 "Teams of the decade revealed". 4TheGame.com. 6 April 2003. Archived from the original on 1 October 2009. Retrieved 2009-10-01. 1 2 3 4 5 6 "Shearer nets awards". BBC Sport. 14 April 2009. Archived from the original on 1 October 2009. Retrieved 2009-10-01. 1 2 3 4 5 Daley, Kieran (28 April 2003). "Shearer takes 'player of the decade' award". The Independent. London. Archived from the original on 1 October 2009. Retrieved 2009-10-01. ↑ "The Panel". Premier League. n.d. Archived from the original on 20 December 2002. Retrieved 2009-10-06. 1 2 3 "10 Seasons Awards, 10 Seasons on TV & Radio". Premier League. n.d. Archived from the original on 6 February 2003. Retrieved 2009-10-06. 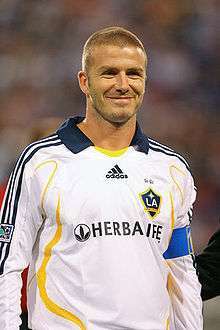 1 2 3 4 5 6 7 "Goal of the Decade:Beckham". Premier League. n.d. Archived from the original on 29 April 2003. Retrieved 2009-10-06. ↑ "10 Seasons – Voting Has Now Closed". Premier League. n.d. Archived from the original on 19 February 2003. Retrieved 2009-10-02. 1 2 3 4 5 6 7 "Community Award for Lucas". Premier League. n.d. Archived from the original on 29 April 2003. Retrieved 2009-10-06. 1 2 3 "Profile – Alan Shearer". Premier League. n.d. Archived from the original on 4 June 2003. Retrieved 2009-10-06. 1 2 3 4 5 6 Dickinson, Matt (15 April 2003). "Cantona backing United to take the honours". The Times. London. Archived from the original on 1 October 2009. Retrieved 2009-10-01. 1 2 3 4 5 6 7 8 9 10 Davies, Christopher (15 April 2003). "Seaman is the greatest, says Shearer". The Telegraph. London. Archived from the original on 1 October 2009. Retrieved 2009-10-01. 1 2 3 4 5 "10 Seasons:Match of the Decade". Premier League. n.d. Archived from the original on 29 April 2003. Retrieved 2009-10-06. 1 2 3 4 5 6 7 8 9 10 11 12 13 14 15 16 17 18 19 "10 Seasons Awards Winners". Premier League. n.d. Archived from the original on 17 April 2003. Retrieved 2009-10-06. 1 2 3 Jason Burt (15 April 2003). "Cantona's world of sardines, fat managers and early retirement". The Independent. London. Archived from the original on 1 April 2010. Retrieved 2010-04-01. 1 2 Bright, Richard (28 April 2003). "Shearer 'best of decade'". The Telegraph. London. Archived from the original on 1 October 2009. Retrieved 2009-10-01. 1 2 3 4 5 6 7 8 9 10 11 12 13 14 15 Davies, Christopher (15 April 2003). "The Premiership elite selection 1993–2003". The Telegraph. London. Archived from the original on 2 October 2009. Retrieved 2009-10-02. 1 2 3 Hughes, Rob (30 July 1996). "Newcastle United Pays Record $23 Million for Shearer". New York Times. Archived from the original on 17 October 2009. Retrieved 2009-10-17. 1 2 3 4 5 "Profile – Alan Shearer". Premier League. n.d. Archived from the original on 4 June 2003. Retrieved 2009-10-17. 1 2 3 4 5 6 7 8 9 "Shearer goes home for £15m". The Independent. London. 30 July 1996. Archived from the original on 17 October 2009. Retrieved 2009-10-17. 1 2 3 4 5 6 7 8 9 "Shearer the Geordie Gem". BBC Sport. 15 June 2001. Archived from the original on 11 November 2009. Retrieved 2009-11-11. ↑ Brown, Geoff (1 May 1994). "Football round-up: Dark clouds gather over Everton". The Independent. London. Archived from the original on 11 November 2009. Retrieved 2009-11-11. 1 2 3 Benammar, Emily (27 April 2008). "PFA Player of the Year winners 1974–2007". The Telegraph. London. Archived from the original on 11 November 2009. Retrieved 2009-11-11. ↑ "Football: Shearer wins PFA award". London: The Independent. 14 April 1997. Archived from the original on 11 November 2009. Retrieved 2009-11-11. 1 2 3 4 "Cantona Retires". New York Times. 19 May 1997. Archived from the original on 17 October 2009. Retrieved 2009-10-16. 1 2 3 4 "Sir Alex Ferguson Profile – Manager of the Decade". Premier League. n.d. Archived from the original on 17 April 2003. Retrieved 2009-10-15. 1 2 3 4 "Eric Cantona". www.premierleague.com – Player Profile. Premier League. n.d. Archived from the original on 29 April 2003. Retrieved 2009-10-16. ↑ Bielderman, Erik (16 April 1994). "Football: Cantona: 'I will stay as long as I'm happy'". The Independent. London. Archived from the original on 16 October 2009. Retrieved 2009-10-16. ↑ Lacey, David (26 January 1995). "Cantona hits fan, faces lengthy ban". The Guardian. London. Archived from the original on 17 October 2009. Retrieved 2009-10-16. ↑ Ridley, Ian (21 April 1996). "Football: Cantona is best since Best". The Independent. London. Archived from the original on 16 October 2009. Retrieved 2009-10-16. 1 2 "Charles in the Hall of Fame". BBC Sport. 30 November 2002. Archived from the original on 15 October 2009. Retrieved 2009-10-15. ↑ "Results / Fixtures – English Premier – MK Dons 0 (0) – 3(1) Man Utd At Selhurst Park on 17-08-1996". Soccerbase. n.d. Archived from the original (database result report) on 9 October 2009. Retrieved 2009-10-09. 1 2 3 4 "Save of the Decade: Schmeichel". Premier League. n.d. Archived from the original on 29 April 2003. Retrieved 2009-10-06. 1 2 Turnbull, Simon (22 December 1997). "Football: Cole and Schmeichel combine to keep United in the clear". The Independent. London. Archived from the original on 9 October 2009. Retrieved 2009-10-09. ↑ "Results / Fixtures – English Premier – Newcastle 0 (0) – 1(0) Man Utd At St James' Park". Soccerbase. n.d. Archived from the original (database result report) on 9 October 2009. Retrieved 2009-10-09. ↑ "Classic Match:Liverpool 4–3 Newcastle". Official site – Features – Magazine. Premier League. 9 August 2007. Archived from the original on 1 October 2009. Retrieved 2009-10-06. ↑ "Results / Fixtures – English Premier – Liverpool 4 (1) – 3(2) Newcastle At Anfield on 03-04-1996". Soccerbase. n.d. Archived from the original (database result report) on 6 October 2009. Retrieved 2009-10-06. ↑ "Results / Fixtures – English Premier – Liverpool 4 (3) – 3(0) Newcastle At Anfield on 10-03-1997". Soccerbase. n.d. Archived from the original (database result report) on 9 October 2009. Retrieved 2009-10-09. 1 2 3 "Owen miss nets award". The Telegraph. London. 14 April 2003. Archived from the original on 13 October 2009. Retrieved 2009-10-13. 1 2 "Results / Fixtures – English Premier – Liverpool 2 (1) – 3(3) Man Utd on 11-09-1999". Soccerbase. n.d. Archived from the original (database result report) on 13 October 2009. Retrieved 2009-10-13. ↑ "Liverpool 2 – 3 Manchester United". The Guardian. London. 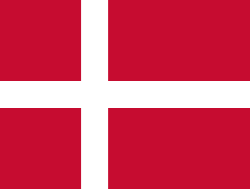 11 September 1999. Archived from the original on 13 October 2009. Retrieved 2009-10-13. 1 2 "60 seconds in sport with Sky Sports football commentator Martin Tyler". The Times. London. 11 May 2003. Archived from the original on 9 October 2009. Retrieved 2009-10-09. 1 2 "Commentator of the Decade – Martin Tyler". Premier League. n.d. Archived from the original on 4 June 2003. Retrieved 2009-10-09. 1 2 "100 Greatest Sporting Moments – Nominations – 1996–2001". Channel 4. n.d. Archived from the original on 13 October 2009. Retrieved 2009-10-13. 1 2 3 "Angry Keegan rises to challenge". The Independent. London. 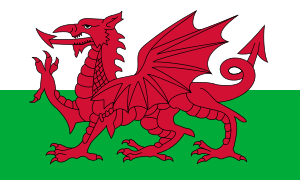 30 April 1996. Archived from the original on 13 October 2009. Retrieved 2009-10-13. 1 2 Moore, Glenn (1 May 1996). "Keegan in danger of cracking under the strain". The Independent. London. Archived from the original on 13 October 2009. Retrieved 2009-10-13. ↑ "Scholes provides United with the firepower". The Independent. London. 29 April 1996. Archived from the original on 13 October 2009. Retrieved 2009-10-13. ↑ Peart, Harry (28 August 2003). "Cantona quotation's source explained". BBC News. Archived from the original on 13 October 2009. Retrieved 2009-10-13. ↑ "100 Greatest Sporting Moments – Home". Channel 4. n.d. Archived from the original on 13 October 2009. Retrieved 2009-10-13. ↑ "100 Greatest Sporting Moments – Results". Channel 4. n.d. Archived from the original on 13 October 2009. Retrieved 2009-10-13. 1 2 3 "Manager Profile – Sir Alex Ferguson CBE". League Managers Association. n.d. Archived from the original on 15 October 2009. Retrieved 2009-10-15. ↑ "Ferguson honoured with CBE". The Independent. London. 31 December 1994. Archived from the original on 15 October 2009. Retrieved 2009-10-15. ↑ "Arise Sir Alex". BBC News. 12 June 1999. Archived from the original on 15 October 2009. Retrieved 2009-10-15. ↑ "Knights Bachelor". BBC News. 12 June 1999. Archived from the original on 15 October 2009. Retrieved 2009-10-15. ↑ "Harley scores as Leeds crash". BBC. 1 April 2000. Archived from the original on 14 October 2009. Retrieved 2009-10-14. 1 2 "Soccer: Lucas Radebe". www.safrica.info. International Marketing Council of South Africa. 29 April 2005. Archived from the original on 14 October 2009. Retrieved 2009-10-14. ↑ "Lucas Radebe The Loyal Chief". www.fifa.com/classicfootball/stories/doyouremember/. FIFA. n.d. Archived from the original on 14 October 2009. Retrieved 2009-10-14. ↑ "Lucas Radebe to receive the FIFA Fair Play Award for 2000". FIFA. 6 December 2000. Archived from the original on 14 October 2009. Retrieved 2009-10-14. 1 2 "Ferdinand scores Premiership's 10,000th goal". RTÉ Sport. 12 December 2001. Archived from the original on 9 October 2009. Retrieved 2009-10-09. ↑ "Results / Fixtures – English Premier – Tottenham 4 (2) – 0(0) Fulham At White Hart Lane on 15-12-2001". Soccerbase. n.d. Archived from the original (database result report) on 9 October 2009. Retrieved 2009-10-09. 1 2 "James Lawton: Premiership loses perspective in its desire to make instant history". The Independent. London. 3 April 2003. Archived from the original on 1 October 2009. Retrieved 2009-10-01. ↑ "Keane excluded from Overall Team of the Decade". RTÉ Sport. 15 April 2003. Archived from the original on 1 October 2009. Retrieved 2009-10-01.